Start my spreading the oats, nuts, and seeds on a rimmed baking sheet and baking at 400 degrees for 15 minutes, stirring every 5 minutes. While the oat mixture is toasting, add the brown sugar, honey, and olive oil to a small sauce pan and heat on medium until the sugar melts. Add the vanilla and stir. 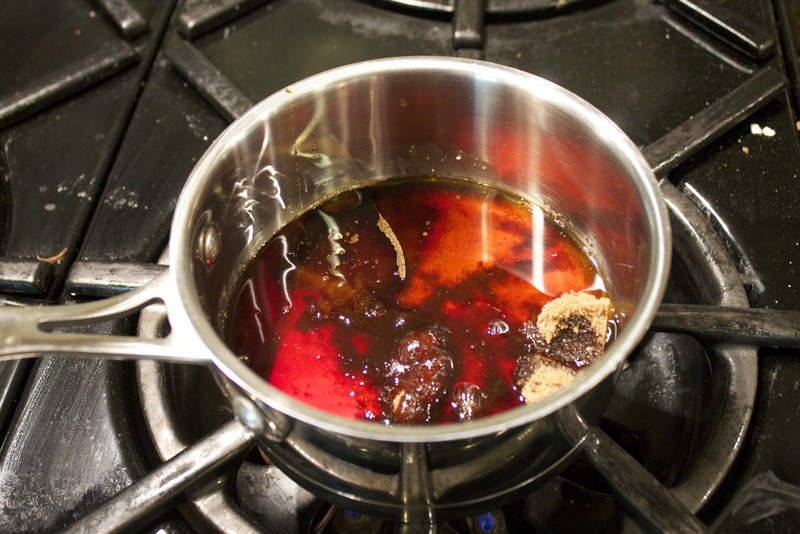 Remove the oat mixture from the oven and drizzle the sauce over the top, stirring until the ingredients are are evenly coated. Return the granola to the oven and bake for 20 more minutes, stirring ever 5 minutes. While the granola is baking, chop the ginger and the coconut. 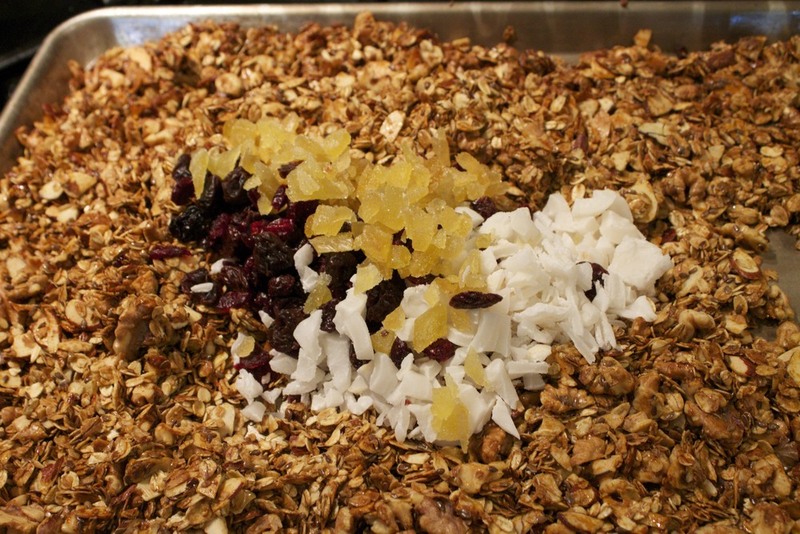 When the granola is nice and toasted and golden brown, remove from the oven and add the dried fruit. Let cool completely then sprinkle the cinnamon over it and stir it well. I store mine in a zip lock bag. That's it. You can vary the flavor by using different nuts and fruits, whatever combinations you like. It's great by the handful, over yogurt or with milk for breakfast. Posted in In The Kitchen and tagged with granola, oats, nuts, seeds, dried fruit. July 9, 2013 by Lynn Adams.